If you were born before 1985 and grew up in New England (or spent a lot of time here, as I did), you’ll remember Bean Dip. 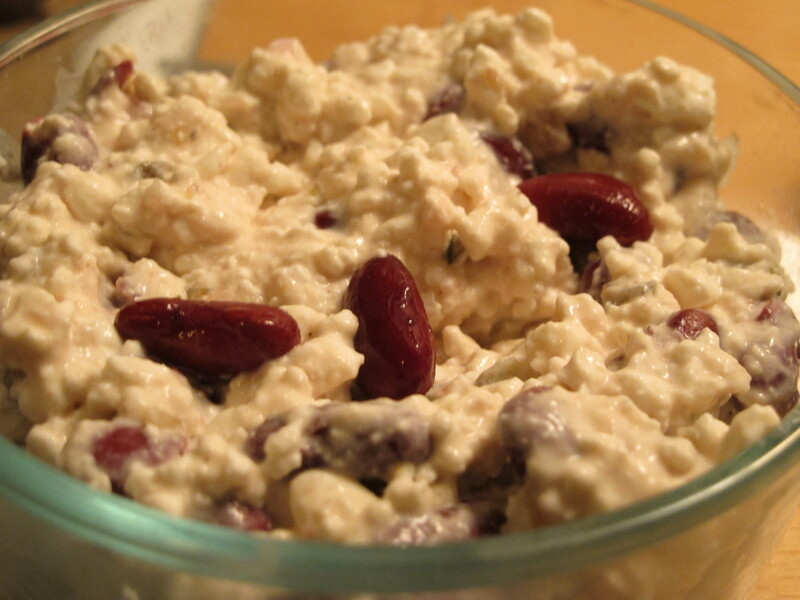 The main components of this exciting and exotic concoction are kidney beans and cottage cheese, and it was often served in a small dish with a large basket of assorted, individually wrapped crackers. It wasn’t something you ordered, it just arrived, along with menus touting such regional specialties as ground sirloin and baked haddock. I came up short when I tried to find recipes for this now-extinct dip, but I think I’ve managed to piece together a reasonable facsimile. This is how I remember it, but if your nostalgia is different, try adding horseradish and/or tabasco. Put cottage cheese in a bowl, add relish, mustard, oregano, Worcestershire, shallot, garlic powder, stir to combine. Taste, add salt and pepper as needed. Fold in kidney beans. Refrigerate for at least one hour, ideally overnight. Serve with some variant of Ritz cracker, or a basket full of assorted, individually wrapped crackers. Voila. I’m very sorry, but I MUCH prefer “Pittsburgh Dip” & a VERY large bag of Wise Potato Chips over this!! Also, I’m in Boston on Fri. Nov 4th w/Ryan & (based on your blog) will try to get a seat @ Toro!